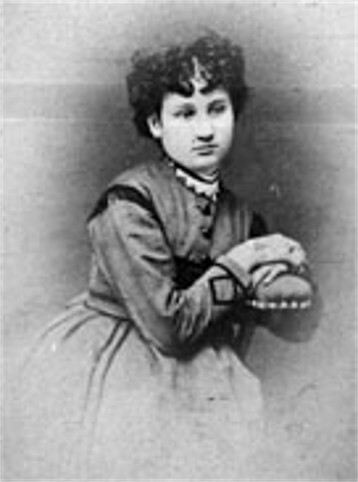 Zankovetska, Mariia [Заньковецька, Марія; Zan’kovec’ka, Marija] (née Adasovska; married name: Khlystova), b 4 August 1854 in Zanky now in Nizhyn raion, Chernihiv oblast, d 4 October 1934 in Kyiv. (Photo: Mariia Zankovetska.) Actress, singer, and theater activist. 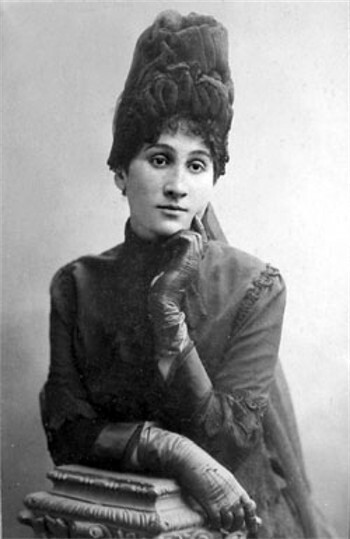 Zankovetska was educated in a Chernihiv private school and at the Helsinki Conservatory. 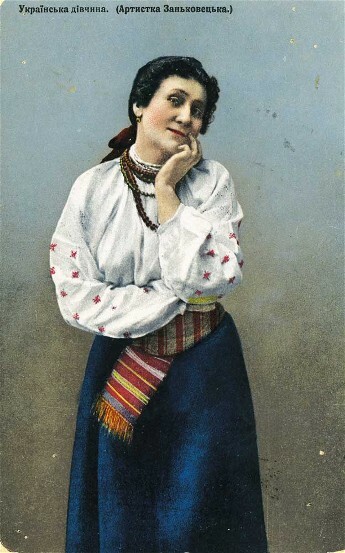 She debuted in 1882 in Ivan Kotliarevsky's Natalka from Poltava as a member of Marko Kropyvnytsky's troupe, which production heralded the rebirth of Ukrainian professional theater, heavily repressed since the Ems Ukase of 1876. 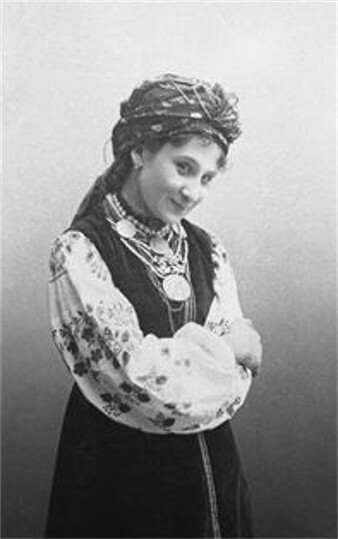 Zankovetska performed as leading actress in the troupes of Kropyvnytsky (1882–3, 1885–8, 1899–1900), Mykhailo Starytsky (1883–5), and Mykola Sadovsky (1888–98), in Saksahansky's Troupe (1900–3), in Onysym Suslov's troupe (1903–4), in the Society of Ukrainian Actors (1915–17), and in the State People's Theater (1918–22). 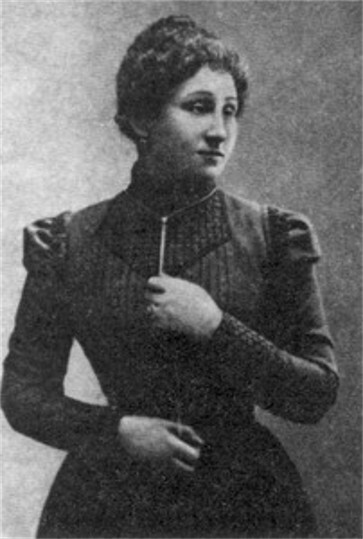 She appeared at the All-Russian Congress of Stage Workers in 1897, where she demanded the termination of censorship in Ukrainian theater. 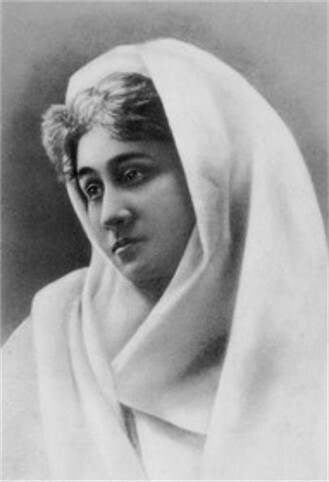 In 1909–15 she directed amateur groups in Nizhyn and Krolevets. Her last performance on stage was in Kyiv in 1922, and that same year a theater in her name was founded (see Zankovetska Theater). Zankovetska's stage career spanned over 30 dramatic-heroic roles from the populist-ethnographical repertoire, which she played with innate subtlety and intelligence. 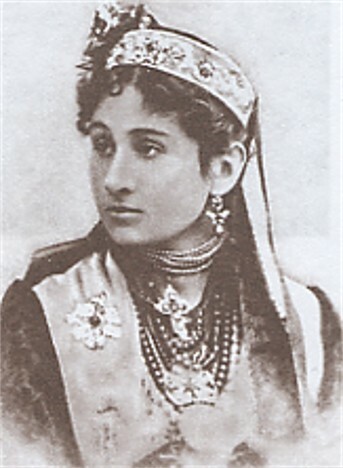 Among them were Olena in Marko Kropyvnytsky's Hlytai, abo zh pavuk (The Profiteer, or the Spider), Katria and Aza in Mykhailo Starytsky's Ne sudylos’ (Not Destined) and Tsyhanka Aza (The Gypsy Aza), Sofiia and Kharytyna in Ivan Karpenko-Kary's Beztalanna (The Hapless Maiden) and Naimychka (The Hired Girl), Natalia in Panas Myrny's Lymerivna (The Saddler's Daughter), and Zinka in Liubov Yanovska's Lisova kvitka (The Forest Flower). 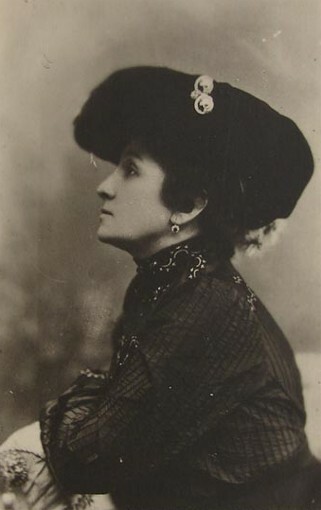 Her best performances were opposite Mykola Sadovsky (Tobilevych), and her talent was praised by Konstantin Stanislavsky. She was less successful in comic roles and in the non-Ukrainian repertoire. She starred in the films Natalka from Poltava (1910) and Ostap Bandura (1923). 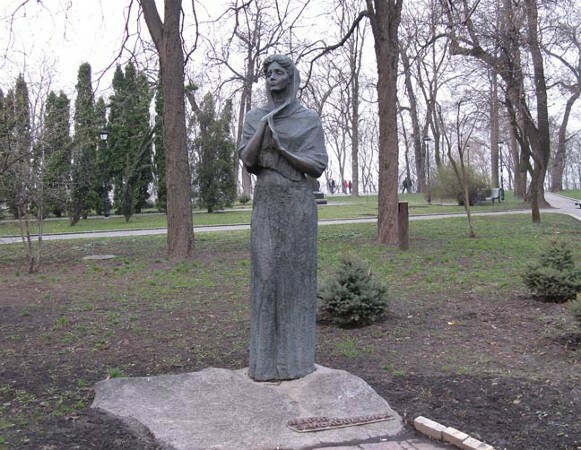 She was the author of a book of memoirs, and biographies of her have been published in Kyiv (1950, 1953, 1982). 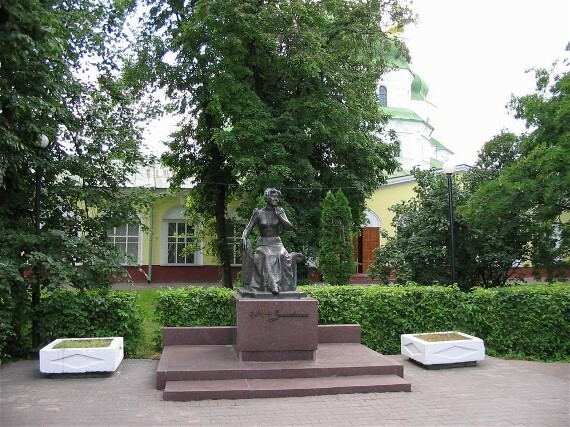 In 1964 a memorial museum in her honor was established in Zanky.